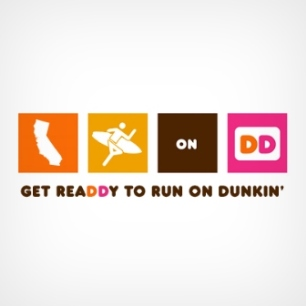 We previously reported that Dunkin’ Donuts will be returning to Southern California beginning in 2015. However, the Inland Empire is getting a sneak preview, as the chain’s second California location (following the one inside Camp Pendleton which opened in May of last year) is set to open here this year. The new location is set to open November 1 inside the Barstow Station, 1611 E. Main St.
Current Phoenix-area franchisees Jason Duffy and Bert Hayenga will operate the Barstow location. There may be other locations opening ahead of the 2015 timeline. The company announced Thursday (July 24) that some non-traditional locations (including colleges, universities, casinos, military bases, supermarkets, airports and travel centers) may open “over the next several months,” meaning early next year. In addition to the Barstow location, the company also announced agreements with the first wave of franchisees who will launch 44 restaurants across Los Angeles and Orange counties. One franchisee will open 18 restaurants in central Orange County and the South Bay. Another will develop 10 locations in west Los Angeles, Santa Monica, Hollywood and Malibu. A third has plans for 16 restaurants in central Los Angeles and the San Gabriel Valley. The SoCal locations will also take on a range of new design concepts. Sounds like we’ll soon be drowning in Munchkins. Stay tuned. Click here to read the press release or here for the blog post by Dunkin’ Donuts’ U.S. & Canada President, Paul Twohig. This entry was posted in Barstow and tagged openings by John Plessel. Bookmark the permalink. If Barstow is part of the Inland Empire, why isn’t this article named Dine 760? Dine 760 doesn’t have quite the ‘ring’ as Dine 909.